This post goes out to those of you who have always wanted to grow your own food, but haven’t gotten around to it or don’t know how. I’m here to tell you that if I can do it, you can too (I’m the klutziest, and some might say laziest, girl around). It’s healthy, gratifying, and fun, with a high return on your investment. That’s my kind of hobby. DISCLAIMER: This method may not be the textbook way… but that wouldn’t be any fun, would it? There’s no magic formula, but here’s the recipe that’s helped me find success. Most importantly, you need a sunny spot (at least 6-8 hours of sunshine per day in the summer). 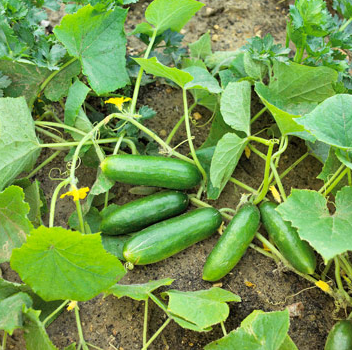 Use your gut about whether the ground looks like a hospitable environment for baby veggie plants. If not, you have 2 options: either buy some nice big pots and a few bags of potting soil, or just buy the soil and dump it on the ground on top of the inhospitable soil. It’s cheating, but I’ve seen it work. Anytime in the late spring or early summer (NOW! 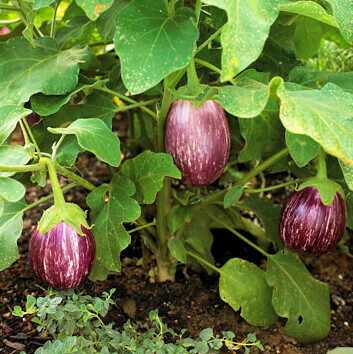 ), buy seedlings (little plants that come in plastic pots) of your favorite veggies from your local garden center or farmer’s market. Only buy what you have room for… remember, these things will hopefully grow very large. You can tell how much space they take up and how much light they’ll need by looking at the little plastic tag that comes along with the seedling. 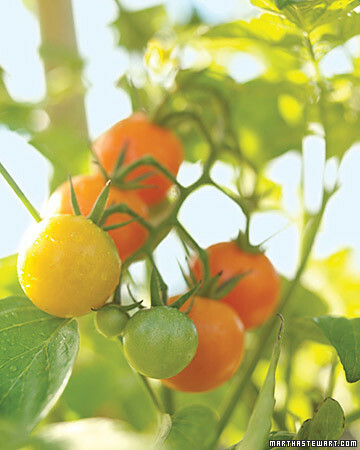 If you’re stumped on what to plant, I love the idea of a salsa garden: tomatoes, cilantro, onions, and jalapenos; or a pizza garden: tomatoes, basil, oregano, and peppers. Using your trowel or gloved hands, dig a hole a bit larger and deeper than the plastic pot containing the seedling. Turn the pot upside down and gently squeeze. Shake the seedling out, cupping it with your hands, and place the plant in the hole you just dug. Grab a handful of compost (I’ll show you how to make your own in a future post, but you can buy it too) and mix it with the soil, filling the hole back in with the compost/soil mixture. Press gently around the plant to ensure the hole’s filled in all the way. Sprinkle with a bit of organic fertilizer and give it a good soaking with a hose, watering can, or whatever vessel you have handy. Every day or two, poke your finger about an inch down into the soil. It’s time to water when it starts to feel dry (or 2-3 times per week if you don’t want to ruin your manicure). 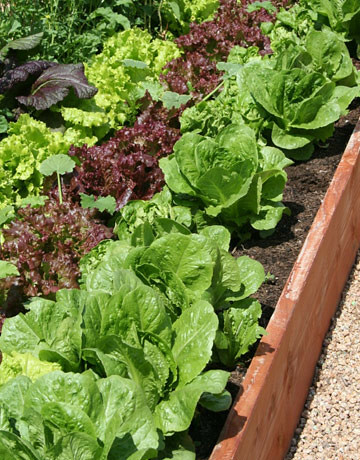 As your veggies grow, you may want to stake or cage them to keep them tidy and save space. I also recommend pruning large plants like tomatoes as they grow. I’ll be doing this for the first time this year. I made the mistake of skipping it last year, and my unwieldy tomato plants produced barely any fruit. Keep an eye out for pests and predators. Our yard seems to attract slugs and snails, so I like to sprinkle Sluggo on my crops every few weeks or so. It’s safe to use on plants you’ll be eating, and it’s also pet-safe, which is key in my yard. You can also build a cage or fence around your veggies if your area has a problem with raccoons or other animals. 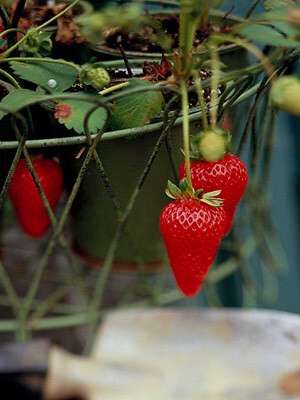 So, what are you planting in your garden this summer? Pizza garden: Sign me up for this! This makes me miss my old community garden plot. I used to have tons of plants and of course back breaking work. I still grow a couple of tomato plants each year in my microscopic yard, as there is nothing like a homegrown tomato! Wait, did I just read that you like the idea of growing cilantro??!??!!? We are container gardening this year. To make it fun for the kids, we're growing things in big colorful sand buckets. We've got peas, bean stalks (as my daughter calls the green beans), berries, basil, green onions,and tomatoes. So far, so good. It's all growing and it seems like we'll have a good batch of veggies one of these days. @nick Thanks...I actually could've used your "technical" explanation last weekend, it was surprisingly hard to find a straightforward one online. @Leslie Tomatoes are my very favorite! Glad you found a way to make it work. @Michelle Sounds like fun for the whole fam! Bean stalks--I love it! I may need to start saying that. Is this your garden?!!! You just totally put mine to shame! hahaha. absolutely beautiful. i have been wanting my own veggie garden for years, but alas, we have a family of deer that have made our back garden their home. Your garden is inspiring, Amy! I just have to get the raised beds going & I'm set.It's always the way, something you have to pay for. But the results look delicious!